The biggest hits on the Great White Way are headed to Vancouver as part of the just-announced Broadway Across Canada 2019-2020 season! 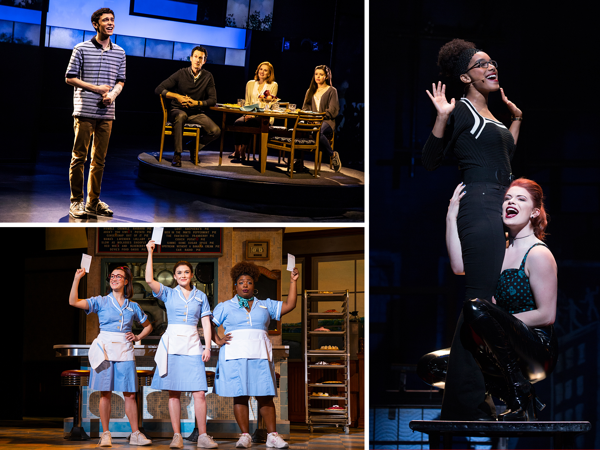 Broadway blockbusters Dear Evan Hansen, RENT and Waitress will be part of the upcoming season. The series will also include Finding Neverland and Wicked. The winner of Broadway.com’s Audience Choice Award for Best Musical, this breathtaking smash “captures the kid-at-heart,” says TIME Magazine. Vogue cheers, “It’s a must-see you’ll remember for years to come!” Directed by visionary Tony Award winner Diane Paulus and based on the critically-acclaimed Academy Award-winning film, Finding Neverland tells the incredible story behind one of the world’s most beloved characters: Peter Pan. Playwright J.M. Barrie struggles to find inspiration until he meets four young brothers and their beautiful widowed mother. Spellbound by the boys’ enchanting make-believe adventures, he sets out to write a play that will astound London theatergoers. With a little bit of pixie dust and a lot of faith, Barrie takes this monumental leap, leaving his old world behind for Neverland, where nothing is impossible and the wonder of childhood lasts forever. The magic of Barrie’s classic tale springs spectacularly to life in this heartwarming theatrical event. Finding Neverland is “far and away the best musical of the year!” (NPR).